Need someone right now ? 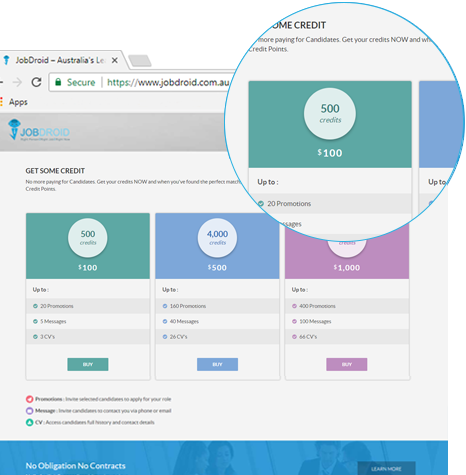 Jobdroid is a Fee-for-Service payment model. Don't pay for the candidate, only pay for what you do. Don’t want to do the searching for yourself ? For which Location you are looking ? Which Work Types you are looking for ? There are no Favourite search found. This candidate has hidden their profile. There are no Shortlisted candidates found. There are no Contacted candidates found. Many more candidates are available shortlist to your requirements. Create your profile and you don't need to chase jobs, let employers chase you. 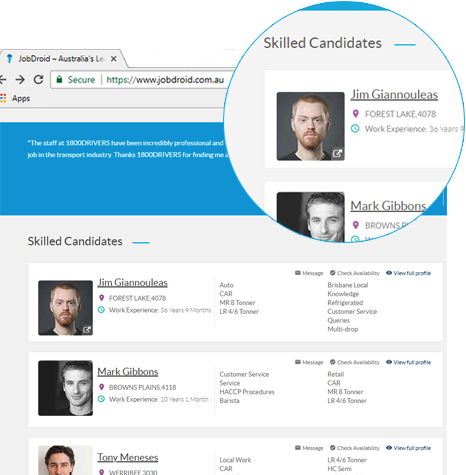 Jobdroid is fastest and most effective to find candidates ready to start work within an hour. 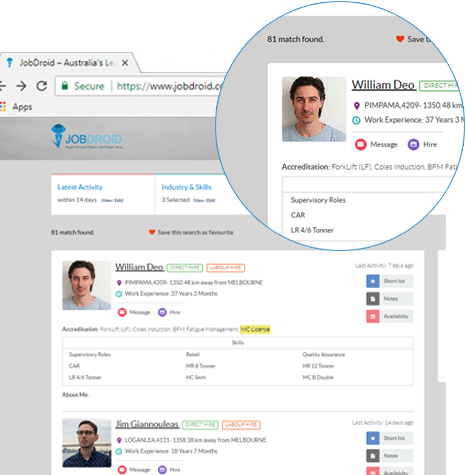 Find jobs matching your profile.